When the recession hit in the mid-2000’s, the Construction Industry lost over 2 million jobs. Since the economic upturn, Colorado has become one of the country’s fastest growing state economies. In fact, it’s estimated that Denver is growing at a pace that requires some 14-16k new homes per year alone; last year, however, less than 12k homes were built, far below the number to keep up with the growing demand. Once again, developers cite a lack of skilled workers as the basis for their inability to start new projects. The scarcity of skilled workers is also contributing to missed deadlines and stalls in production. If left unchecked, this will escalate from state to state and hinder the economic progress enjoyed in the decade since the recession. 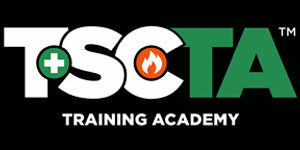 TSCTA has been monitoring the effects of the labor crisis on the industry and though experts at Colorado State University’s Department of Construction Management estimate that by 2025 there will be an additional 96,000 vacancies in the construction trades in Colorado alone, evidence suggests there ways to turn the tide. With some help from federal/local governments and a willingness to get workers the training they need; the industry can rebuild the labor force. This past June, a federal law went into effect that encourages private firms to create apprenticeship programs that will help fill the 6 million job vacancies across the industry. The expectation in promoting the creation of new apprenticeship programs will allow employers to help would-be workers acquire the skills they need in order to thrive in the vacant positions. The law would also make provisions for earlier vocational education, exposing high school students to careers in trades that they may not have been aware of. As highlighted in a previous article, Home Advisor, found that more than half of young people simply have not been exposed to the opportunities in the trades. Of those polled, 61% had no exposure to vocational education or possible career opportunities in skilled labor throughout their high school years – a vital time in deciding future career plans. In California, the state has recognized the impact of the labor crisis and has created a new campaign to bring back vocational training to high schools. California is investing over $200 million to increase awareness among students and help schools and businesses partner to ensure students get the training they need to get started immediately. This public-private initiative hopes to not only get students the training they’ll need but to change the public perception of vocational education and what success can look like without a four-year degree. As Randy Emery, a welding instructor at the College of the Sequoias, said in a PBS interview, “I’m a survivor of that teardown mode of the ‘70’s and ‘80’s, that college-for-all thing.” As Emery pointed out, it’s a cultural rebuilding that must happen – both in schools and in the workplace. The decades-long push for students to get four-year degrees created a vacuum in vocational programs and left the trades hurting. Unlike the four-year degree track to success, creating a pathway into skills jobs is a surefire way to rebuild depleting talent pools, meet increasing labor demands, and allow businesses to be more profitable. The proof is in the pudding; in Colorado, many employers fed up with the lack of skilled labor began hosting their own training programs and started recruiting from their graduates. By teaching the basics and allowing trainees to earn a living, employers are starting to fill long vacant roles while also giving workers a means to break into the industry and start or restart their careers. The future of labor rests primarily in the hands of employers. By working with federal and local governments to expand apprenticeship programs and helping provide guidance on shaping vocational education in schools, employers can create a labor force that will not only meet immediate needs but create a sustainable future for everyone. Rather than waiting on the sidelines hoping for interest to suddenly gain momentum, employers can partner with government agencies to reignite interest and rebuild a labor force that’s ready to work on day one.